I was looking though a flash card this morning and found photos from our last trip to Canada. Good memories! On our trip to Nova Scotia and Newfoundland, Canada, John took hand held and mobile amateur radios for making contacts in case of emergency and for fun, to test the range of the radio, and perhaps to reach northern Europe. We rode our 250cc motorcycles we traveled very light, covering nearly 4000 miles on the motorcycles. 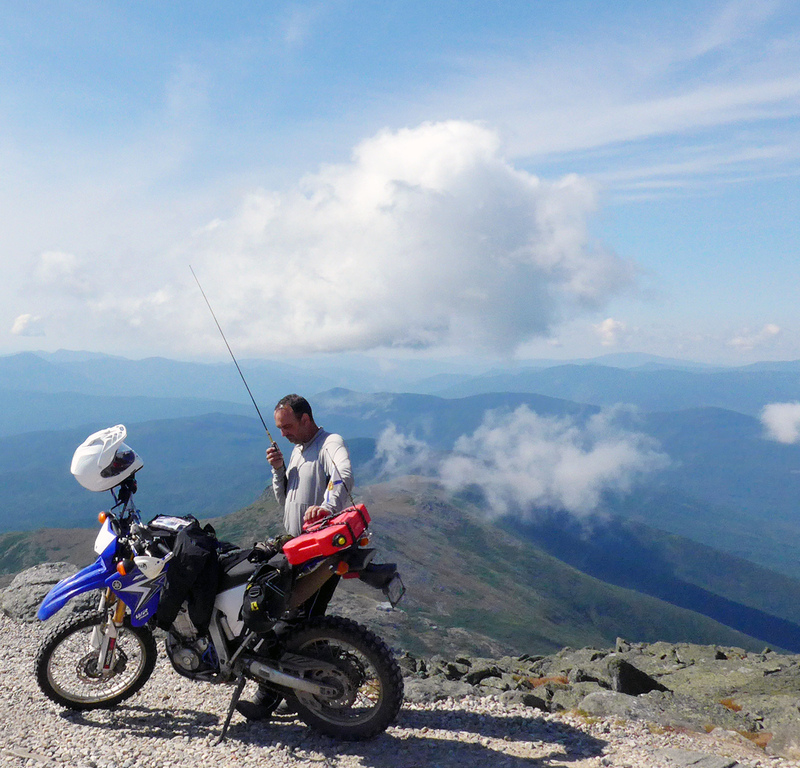 Here in the photo, John is doing Summits on the Air on mount Washington in New Hampshire. http://Summits on the Air. in short SOTA, is a program for amateur radio operators that promotes the HAM radio hobby. There are awards for activators, people who travel and reach certain summits, and chasers who contact the activators from home, a local hilltop or are even Activators on other summits. We slept in the car at the entry of Mount Washington State Park so we would be first to reach the top of the mountain. We later learned there are only few days per year when Mt. Washington is fog and cloud free and we were lucky to see clear skies and amazing views from the top. Being the very first visitors gave opportunity to wander around before the crowds arrived.